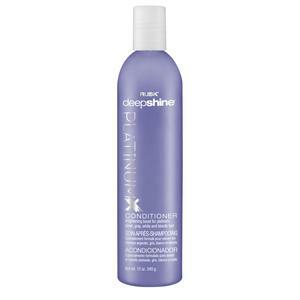 Say good-bye to unwanted yellow and brassiness, and boost brightness with PlatinumX Conditioner. This everyday gentle conditioning formula contains violet to brighten and protect your hair color. What is it? 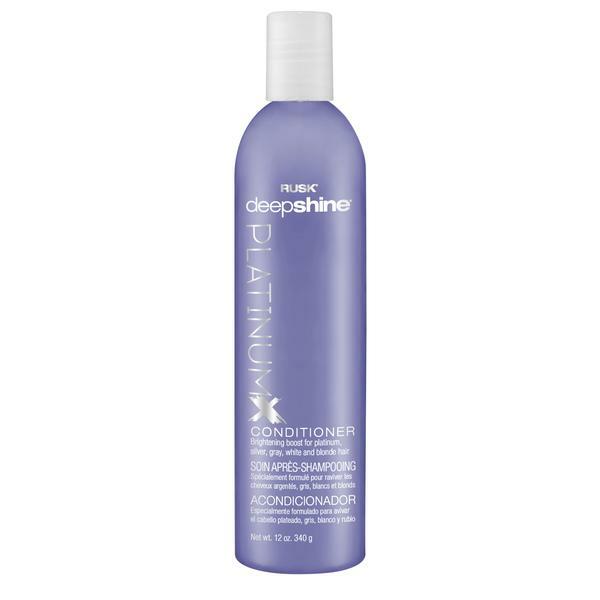 Rusk Deepshine PlatinumX Conditioner is a gentle, every day, non-stripping, conditioner that neutralizes yellow, boosts brightness, and eliminates brassiness. Who is it for? Specifically for natural or color treated platinum, gray, silver or blonde hair. What does it do? Brightens and protects your hair, formulated with Violet 2 to help neutralize unwanted yellow, boost brightness, eliminate brassiness. How do you use it? Apply to shampooed hair. Leave in 1 to 3 minutes. Rinse and style.